While dental sedation is often used to help adult patients with severe dental anxiety, pediatric dental sedation is beneficial for patients with special needs and or those who require extensive treatment that is tailored to their comfort and health. 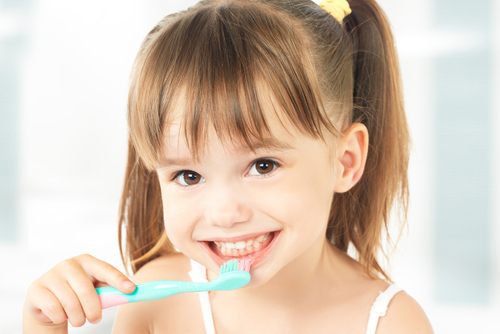 At Kid’s Dental, our children’s dental services include pediatric dental sedation in Tulsa, OK. Productive Dental Visits - For any child, sitting still for stretches of time isn’t always possible. Children who find it difficult to remain still in the dental chair while preventive or restorative treatments are underway can benefit from sedation. Pediatric dental sedation helps young patients feels relaxed and allows Dr. Costello to complete any necessary treatments in an efficient manner. Positive In-Office Experiences - Feelings of being uncomfortable in the dental chair or not completely understanding procedures can be worrisome for young patients. But going to the dentist expecting to feel relaxed and at-ease helps to create positive associations with dental care. Sedation dentistry promotes feelings of relaxation and allows children to feel confident in visiting our office. Overall Patient Wellness - Dental sedation creates feelings of comfort and relaxation and allows our Tulsa children’s dentist to help your child easily receive treatments that are necessary to their overall health and wellness. Sedation aids our office in protecting children’s smiles, while ensuring that they feel comfortable in the treatment process. Whether your child has special needs and can benefit from sedation to feel at-ease, or your child is in need of comprehensive dental restorations in one visit, pediatric sedation dentistry can help. Sedation can be administered through the use of nitrous oxide or intravenously. At Kid’s Dental, our Tulsa pediatric sedation dentist, Dr. Sean Costello, can use either of these methods, depending on your child’s needs. All of our staff members are trained and certified in the safe and effective use of nitrous oxide for dental sedation. When needed, we can also offer IV sedation with the help of an anesthesiologist. Children’s dentistry at Kid’s Dental is safe. Your child is closely monitored during treatment to ensure that they feel relaxed and that their level of sedation is appropriate for their needs. For more information about our children’s sedation services, contact Dr. Costello and the team at Kid’s Dental today for your next appointment.